We were delighted to welcome expertise from Karen Quigley, LMFT, BCPC, BCC and ACC. Karen has been a human development specialist for 26 years and founded True Form Coaching, a lifestyle and sports coaching company. 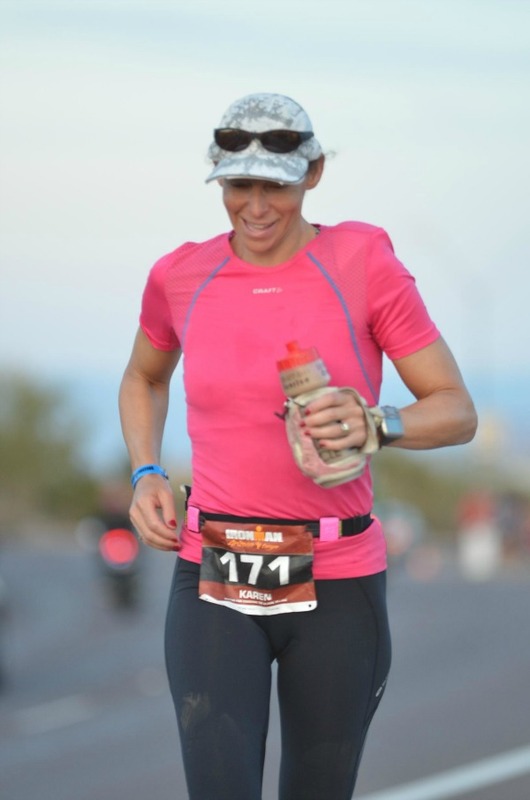 Karen was also one of only 800 athletes from around the world to be invited to The Xterra World Championship, and she competed in 2014 representing the USA as an age group athlete - her techniques work! We asked Karen about her approach to resilience after a medical injury or treatment for our customers using compression hosiery for medical reasons. Read her insights below and thanks Karen for taking the time to write for us! Learn more about Karen and her work at True Form Coaching by clicking here. 1. What would be your advice from a mental perspective to people recovering from an operation? How would you advise them to approach their recovery? "How a person chooses to recover can impact the rate at which healing occurs and the level of functioning and overall life satisfaction experienced after recovery. Having a medical procedure, or surgery can be filled with emotions, not to mention a loss of functioning for a period of time. This circumstance is an unfortunate part of life that brings many challenges. However, it can also be an opportunity to reorganize your life, align yourself with your values and priorities and develop some new skills." Many people choose not to see the opportunity side of set-backs, surgeries or health complications, but it can be quite empowering to proactively heal yourself. Having a good attitude can help you heal faster. Learning where to focus your attention can be a significant contributor to your recovery. 1. Gratitude: What is working well in your life, and what are you grateful for? This might be difficult when your pain levels are really high, but it can help keep perspective, and might just reduce your pain to mentally focus on all the pleasurable items in your life for which you are grateful. 2. Focus on items that are within your control: This will feel much more empowering, than focusing on everything that one cannot influence. Bodies heal at different rates and returning to full functioning may take quite some time, but being engaged in actively healing yourself, by where you choose to focus your attention, will expedite your recovery. First off, it’s always important to follow doctors orders, and though they’re the experts, realize you know yourself and your body. It can be important to trust your deep inner knowing, and if something doesn’t seem right to you, go get it checked out again. Secondly, focus on healing and small positive things you can do each hour, to help yourself take baby steps forwards. 3. Knowing the 3 R’s will help: REST, REFOCUS, REGENERATE. A) Rest your body since most of our healing occurs during sleep. C) Regenerate your body, make sure to eat nutritious, natural, whole foods, get some sunshine, drink plenty of hydrating liquids, and take care of your needs for company, companionship and to feel cared about and loved. 2. How do you perceive the importance of physical activity in medical recovery and wellness? Research scientists tell us that exercise is key to optimal physical and mental health. Engaging in an active recovery, has been shown to be more effective than a passive recovery. We wonder why it is so difficult to motivate ourselves to get out there and do it. Nike, tried to get the world moving with their “just do it” campaign, but it’s not that simple, particularly when we have had challenges to our health. "What motivates us to move? People are all different, and since there are millions of ways to move your body for health and fitness, there’s bound to be a method that’s fun. When physical activity is “prescribed” by a doctor or it’s a “should” we put upon ourselves, we tend to resent it and struggle to accomplish consistency. Many people need a movement partner, to help hold them accountable, as well as to enjoy the social benefits of doing physical activity together." When you’re recovering from an illness and regaining your health, it’s key to focus your attention on the movement and activity that you can do, without causing significant setbacks. If you can keep a journal of your measurable progress, this will help to keep you engaged in your physical activity. For example, if you can go for a 15 minute walk, write down the date, time and effort level 0-10, where 0 is nearly none and 10 is maximum effort. The next time you go out for a walk again, choose to extend your time and effort level, just one step at a time. It’s possible you’ll need to stay for a week or two at one level before being able to increase. When we write down our accomplishments, we can reinforce ourselves and gain more health benefits. You can even begin to set goals for yourself and tell them to a friend or loved one, when we speak these out loud, we make them more real, and will want to be accountable in achieving them. Now you’re well on your way to being healthier and well again. 4. What are the qualities you would encourage developing to aid people to become more mentally resilient during times of struggle? Resilience is often thought of as our ability to bounce back from adversity, but what if the definition of resilience was to live a life aligned with your values and priorities despite obstacles that may challenge you in this capacity? Learning to become more resilient often means taking immaculate care of yourself on multiple levels: physically, spiritually, intellectually, socially, creatively and emotionally. When we can learn to manage our energy (not our time) and we can align our lives with that which matters most to us, then we are truly very resilient. 3. Manage your own energy balancing that which fills you up, versus that which drains out your energy. 4. Do you have an exercise you’d recommend we all do to start on our journey to better resilience? If you want to become more resilient, first clarify what this exactly means to you. If I were more resilient I would _____________, and in my life I would _________, I would feel ___________, I’d think __________ I’d experience ____________. Really take the time to clarify what this means to you. For one person, it might mean, I’d take more risk, speak up more and say what’s on my mind, but for another person it could mean something totally different. Identify why you are not already this way? What are the barriers? Sometimes our habits which once served us, no longer benefit us and we need to address our patterns of habit and make a new one, other times it’s a different reason, like a limiting belief, or someone in our lives that we allow to influence us. First, get clarity about what you want, and how this will make your life better. Be very specific and clear. "Ask yourself if you believe you’re worth it, and if so, what will it take to become the best version of yourself. If you do not believe you’re worth being more resilient, then start by addressing your sense of value to yourself, for yourself and others. We all have every right to be strong, powerful and amazing beyond belief but too many people keep themselves back. When you set your intention to increase your intrinsic sense of worth and value, you know that you have the right to live a fully resilient beautiful and amazing existence and that you are a gift to the world, there will be no stopping you."